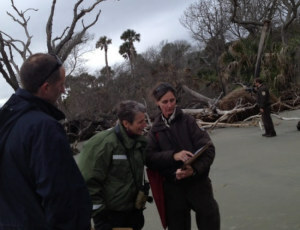 Secretary of the interior, Sally Jewell (middle) looks at graphic representations of the predicted impacts of sea level rise in Cape Romain National Wildlife Refuge with refuge manager Sarah Dawsey (right) on a trip to Bulls Island. Photo courtesy of Sammy Fretwell/The State paper. This spring we brought together a coalition of partners to urge Senator Lindsay Graham to support full funding for the Land and Water Conservation Fund (LWCF). In addition to our 1,500 members the effort was formally supported by numerous others, including Charleston County Councilman Dickie Schweers, The City of Conway, Bulls Bay Historic Passage Chamber of Commerce (representing over 100 businesses in the Bulls Bay Region), and the Town of McClellanville. We offer our sincere thanks to these partners for adding their voices to this effort. We will continue to ask you to voice your support for this and other funding for our national forest and wildlife refuges. Know more: The Land and Water Conservation Fund (LWCF) was established by a law passed almost 50 years ago and is one of our nation’s most powerful conservation tools. The fund was intended to work by reinvesting a small portion of the proceeds from offshore oil and gas drilling into the conservation of our nation’s natural, recreational and cultural resources. Despite the fact that the fund does not use any tax payer money (the revenue from the depletion of one natural resource is dedicated to protecting another), the full funding intended for LWCF has only once been appropriated by Congress during the program’s 50 year history. 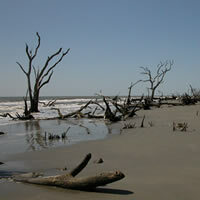 The fact that five South Carolina wildlife refuges and the Francis Marion National Forest all have current pending land acquisition projects dependent on full funding of LWCF illustrates the importance of this funding to South Carolinians.